Poor thing! That is the absolute pits. I went to a super formal wedding and reception once with a date who was a groomsman... so he sat with the cool kids and I sat with some people who didn't speak English. Johnna! It's ok. You have a husband to go home too. 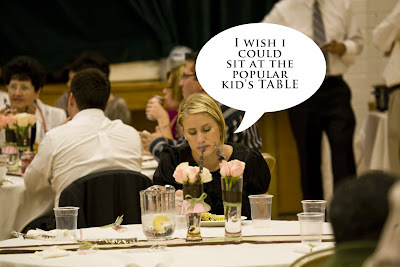 I still go to weddings alone and leave alone. Ha ha. That picture is funny with the little caption though.